It goes without saying, there is a part of a wireless doorbell that is going to be put outside, it is called the push button. The push button is going to be at risk from the elements. Whilst we have already covered wireless doorbells for cold weather, we did not consider the options for a complete weatherproof wireless doorbell solution. This is not just about rain and cold! When considering a wireless doorbell, many people simply check the waterproof status and ensure that the wireless doorbell works in low temperatures. This alone does not ensure that you have a fully weatherproof wireless doorbell! The upper range is just as important as the lower range. If you are lucky enough to live in a warm climate, then you need to have a wireless doorbell that will work in the hot weather too. Let’s take a look at the best weatherproof wireless doorbell options in more detail. With an IP rating of 55 and a wide working temperature range, the Coolqiya wireless doorbell is the best weatherproof option. 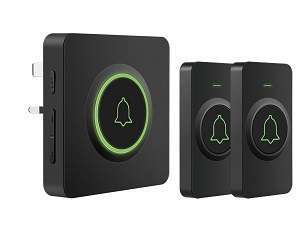 Number 1 is the fantastic Coolqiya Wireless Doorbell, which is the best option if you need a totally weatherproof wireless doorbell. 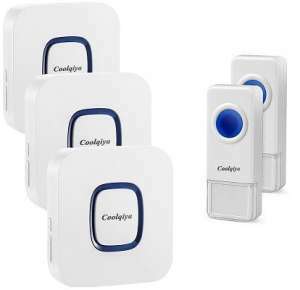 The Coolqiya Wireless Doorbell is expandable (up to 10 receivers), waterproof, loud, and has an awesome working range! The Coolqiya Wireless Doorbell is rated to IP55 in terms of being waterproof too. With both of those facts in mind, it is the best weatherproof wireless doorbell! If you are deaf or hard of hearing, the bright LED will alert you to any visitors. It is also backed up by a 24-hour customer service team and a 1-year warranty to boot. Ket features include 52 different ringtones (including dogs barking, piano tunes and the classic ‘ding dong’). 4 volume levels, the possibility of working at over 100 feet, easy expansion to over 10 receivers. 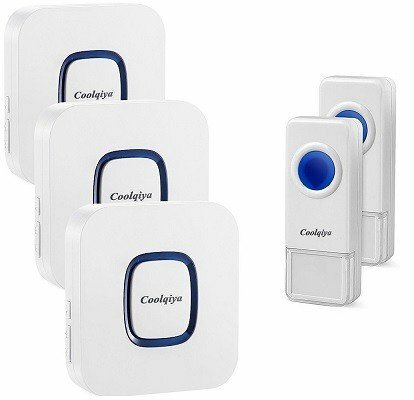 The Coolqiya Wireless Doorbell is a very highly rated wireless doorbell, and is top of our best wireless doorbell list! The Physen H1 is the ultimate cold weather wireless doorbell and a very close 2nd place in this list. 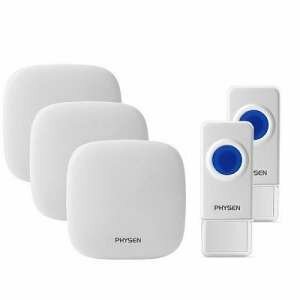 We love the look of the Physen H1, and although it has some competition (even from other Physen models) it is the best wireless doorbell that Physen produces. The Novete also has a high waterproof rating and a wide working temperature range. The Novete is quite new to the market, but it had to be on the best wireless doorbell list simply because of the features it has. 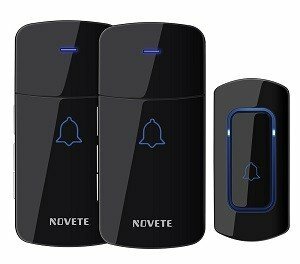 The Novete Wireless Doorbell has the ability to hit sounds at 115dB, which I am sure you will agree is more than loud enough. It is not simply a loud wireless doorbell though, it is a great option if you live in a cold or hot climate. With a working temperature range of -4 °F to 140 °F, it is sure to fit your needs if you are looking to buy a complete weatherproof wireless doorbell. There is a small LED which is great if you want the volume off (which is also possible with this wireless doorbell). Although the LED is small, so you may miss the odd visitor if you are not paying attention. If you decide to go for the Novete Wireless Doorbell, you will also receive a 100% satisfaction guarantee, which means you can send it back if you are not happy. The DB-21 is small but packs a powerful punch in terms of features! The Avantek DB-21 really is a fantastic option if you are looking for a weatherproof wireless doorbell. As we said above, it is IP55 AND rated to work in the temperature range of -20 °C-60 °C. Come rain or come shine, the Avantek DB-21 will not let you down! Similar to the D-3C, the Avantek DB-21 also has the ability to leave your ears ringing at 115dB, making it a great choice if you need a loud wireless doorbell. 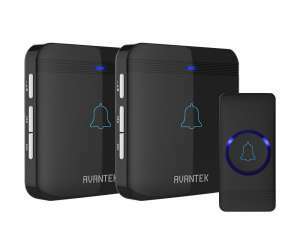 Avantek has made some great wireless doorbells, and the features are very much the same as all the other models. It is loud (115dB), it is weatherproof (IP55 and working temperature range of -20 °C-60 °C). The Avantek can also work at a range of over 1300 feet! What we also love about this particular wireless doorbell is the lighted button, which will enable your visitors to know that the wireless doorbell is working, even if they cannot hear it! To be honest, if you crank the volume up to the maximum, they will not have a choice BUT to hear it! It is LOUD! This ultra loud doorbell is also a fantastic option if you are looking for a weatherproof option! For weatherproofing, Avantek has made the Avantek D-3B IP55 rated and the push button can work within a temperature range of -20 °C-60 °C. Everything is covered from a weather perspective, cold or hot, rain or shine! The Avantek D-3B is the best loud wireless doorbell, reaching a volume of 115dB! Trust me, that is more than loud enough! The sleek, black Avantek D-3B is a great looking wireless doorbell and one of the loudest we have heard! Not only is the Avantek D-3B loud, but it is also rated IP55 waterproof and has an operating range of over 1300 feet. Here is a run-down; 52 chimes, 5 volume levels, a working range of over 1300 feet. It also has a memory function that keeps your settings in the event of a power cut. Avantek does make some of the best wireless doorbells, and they do have some other options available, in different colors. 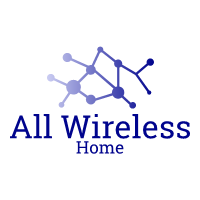 I am certain that you will find a weatherproof wireless doorbell on this page that you like! You can be sure that we have looked at the rating for each wireless doorbell. We have reviewed and have considered weatherproofing functionality before completing this post. There really are only 2 things you need to consider when looking for a weatherproof wireless doorbell; the IP rating, and the working temperature range. The IP rating specifies how waterproof (and dustproof) the wireless doorbell is. Ensure the working temperature range fits in with your climate, hot or cold. Arid or wet! Good luck with whichever option you choose! If you have any questions, please get in touch or leave a comment below.